The scene of the alleged home invasion in Sleepy Hollow, Ill. on Monday. A butcher knife-wielding man is accused by police of sexually assaulting a 19-year-old woman before stabbing she and her brother and then threatening a neighbor to drive him out of the area during a reign of terror that has left an Illinois village on edge. The suspect, who as of Tuesday has not been identified, was taken into custody a day earlier after being tracked down and tasered by police officers in Sleepy Hollow, outside of Chicago. The Kane County State’s Attorney’s Office told Fox News that the incident is still under investigation and charges are pending. “The front door, it was a nice day here and the storm door is unlocked and the main door was open and he just walked in,” Sleepy Hollow Police Chief James Linane told WFLD, describing how the events there began with an alleged home invasion early Monday afternoon. Police say while inside, the suspect, whom they believe was likely under the influence of either drugs or alcohol, sexually assaulted a 19-year-old high school senior. He stabbed her 17-year-old brother when he tried to intervene, while also stabbing her, they told WFLD. All three then reportedly fled the home, leaving a trail of blood. 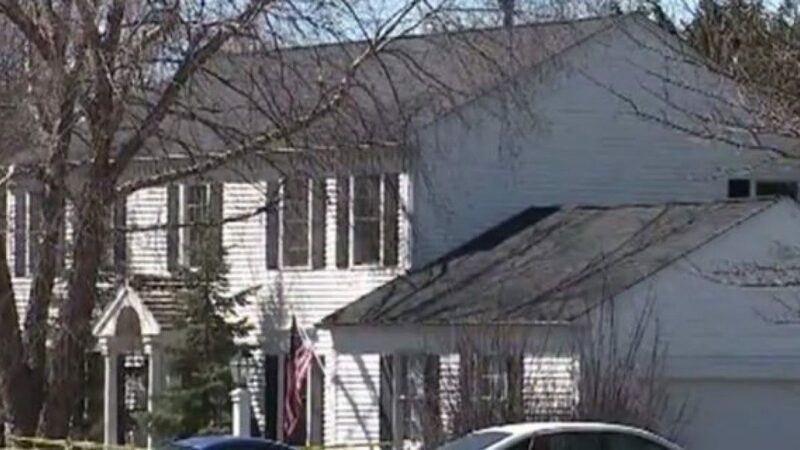 Neighbors say the man found a second woman in her backyard and demanded she drive him away from the area, while also threatening to kill her with two butcher knives, according to WFLD. The woman is said to have scared the man off after screaming and then police made the arrest about a mile away in a field. Both victims are expected to recover from their stab wounds. A motive for the chaos has not yet been determined.